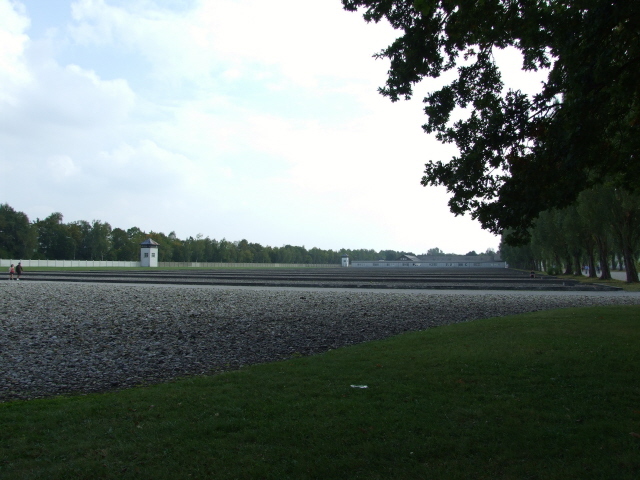 The site, near Munich, of the first (and longest-running) of the concentration camps set up in the Nazis' Third Reich. Thus the name is almost synonymous with the whole concept of the concentration camp system. 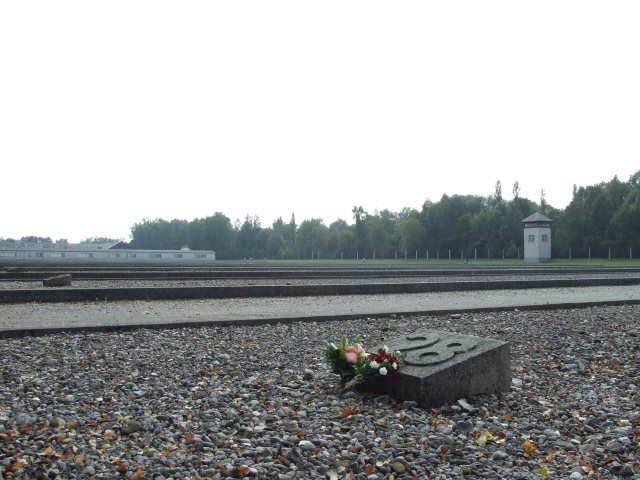 It is today one of the most visited dark tourism sites in Germany (and even worldwide). More background info: Dachau concentration camp was set up only weeks after Hitler and the Nazi party came into power in Germany in early 1933. Its initial primary function was to intern political opponents in an effort to consolidate the Nazis' grip on power. Not only did it serve that function well, it became the "model" for the layout and operations of later camps. In a way, then, it was the prototype camp. This also extended to the training of the SS concentration camp guards (cf. Sachsenhausen near Berlin, which also served as a training institution), and the exact wording of camp rules, commands, rations, routines, etc. – all meticulously laid down. Since it was also one of the last camps to be liberated shortly before the end of WWII Dachau was in operation longer than any other camp. But what probably lifted the place into public consciousness more than any of those factors were the images taken by the US army of the liberation of the camp – including those particularly haunting images of heaps of bones-and-skin corpses outside the crematoria. Together with some photographs taken in Buchenwald on liberation (also by the US), these Dachau images shaped public perception of what the Nazi concentration camps were possibly more than any other. In a way, the name Dachau alone stands almost metonymically for the whole concept of concentration camps, in a similar way to the name Auschwitz standing for the Holocaust. 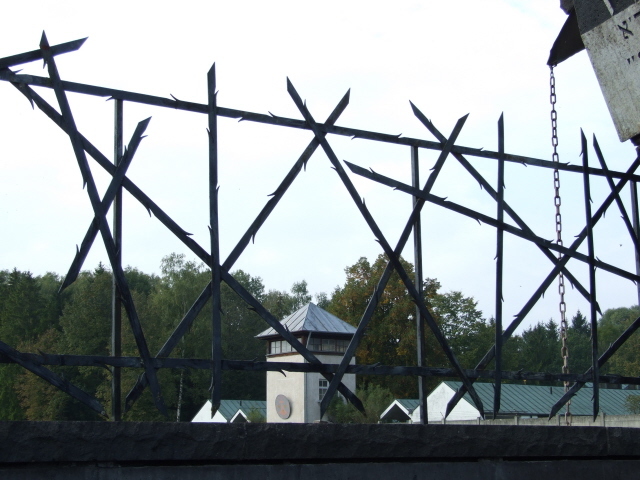 What is often blurred in public perception, however, is the fundamental difference between a camp like Dachau and places like Auschwitz or Majdanek, and esp. the pure death camps of Operation Reinhard (Sobibor, Belzec and Treblinka). Whereas those camps in occupied Poland primarily were places for the "industrialized extermination" of the European Jews, the concentration camps modelled on Dachau, and located on German soil, were large-scale detention and torture centres, and later forced labour camps too, but not death camps. 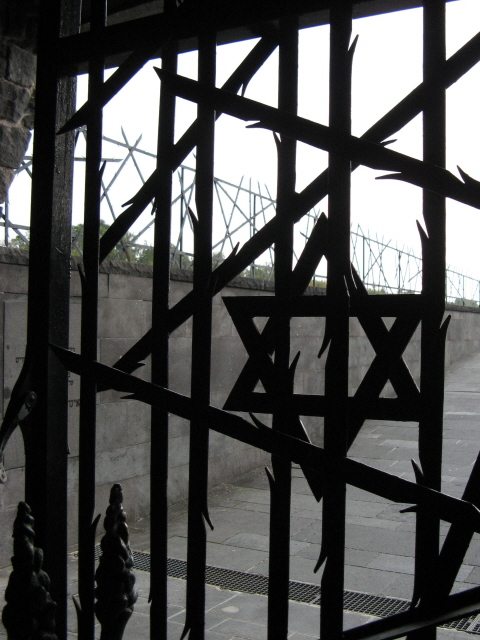 Jews were just one of many groups of prisoners, and the Holocaust was not its primary function. 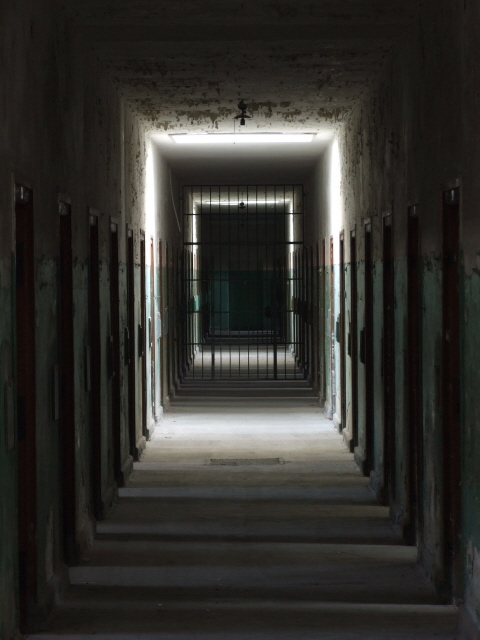 Instead, Dachau went through roughly three phases: first, imprisonment of German opposition members – not only to remove any potential key figures of resistance from public life, but also to intimidate the rest of the population. Internally, it aimed to be a "re-education" centre for political opponents – i.e. an institution for breaking their will and personality. Then came other "undesirables" such as Jews, homosexuals or Jehovah's Witnesses, and once WWII had begun, more and more POWs from various other countries, in particular Poles, but also prisoners from France, the Netherlands, the Soviet Union and a host of other countries arrived at Dachau too, making the camp population markedly multi-national in composition. In the desperate later stages of WWII, the inmates were increasingly used for slave labour in Germany's efforts to maintain arms production. In that phase, Dachau and other camps had dozens, if not hundreds of satellite camps or subcamps. In these secondary camps, more so than in the base camps, the principle was that of literally working the prisoners to death ("Vernichtung durch Arbeit"). Sure, there were executions at Dachau too, and thousands of esp. Soviet POWs were shot at a site near Dachau, but the main cause of death at Dachau camp was any combination of exhaustion, malnutrition, brutal treatment and diseases resulting esp. from the abominable inadequacy of sanitation. 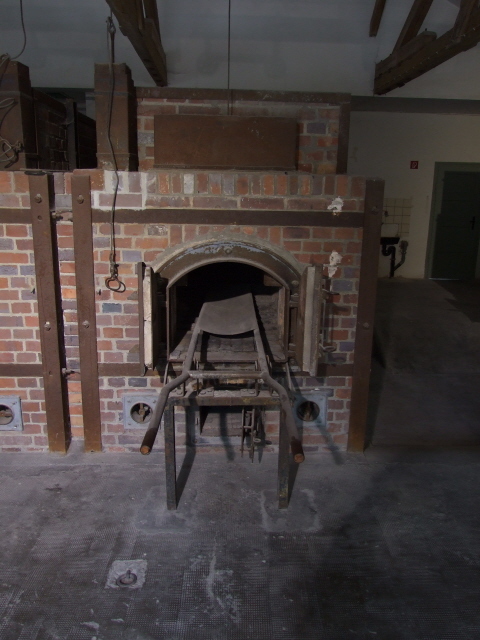 There was a gas chamber installed at Dachau too, although there is some dispute whether or not this was ever used for killing prisoners. 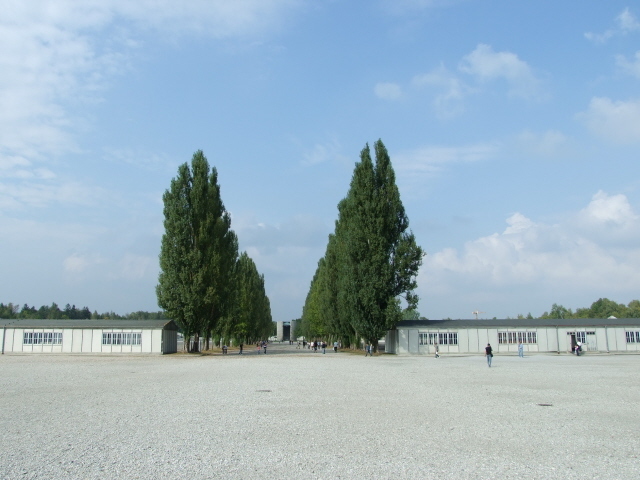 For all its horrors, though, Dachau had a somewhat lower overall death toll than other camps. Of the over 200,000 prisoners who went through this camp and its subcamps, an estimated 40,000 – 43,000 did not survive. But that means that about four fifths did survive (compare that to places like Auschwitz!). However, the survivors were of course left with psychological scars for life. 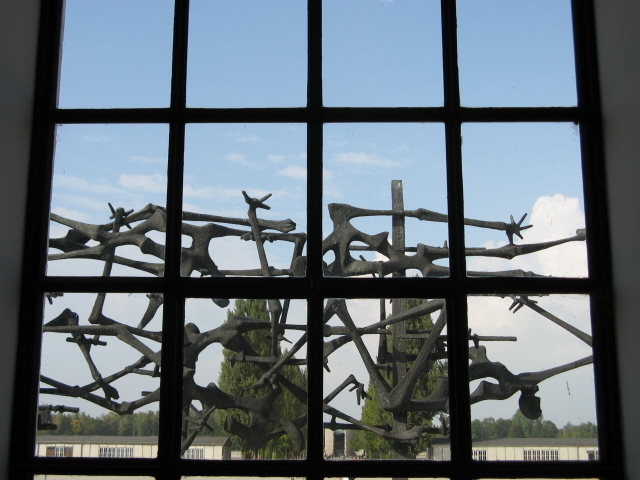 Still, it was initially thanks to organized groups of survivors that Dachau became a memorial site. Immediately after WWII, the site was used to intern German POWs and (suspected) war criminals, but the grounds were then also used to house thousands of displaced persons. 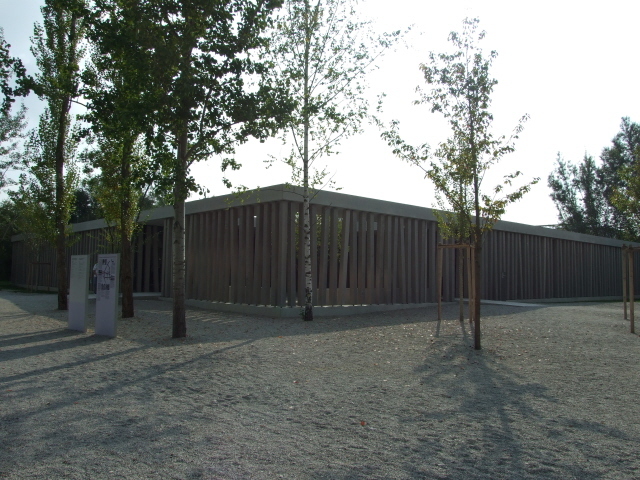 It wasn't until 1965 that parts of Dachau were turned into a proper memorial site, and survivors had a lot of input into the design. Between 1996 and 2003, major modernizations and extensions were made, in part to meet newer standards but also in response to the fact that survivors' input was rapidly becoming less available as the days of the camp's operation and liberation receded into history. So the new exhibition had to move towards providing more information in varied media for a younger generation of visitors (German school groups form an important part of these memorial sites' clientele). In April 2009 an additional brand-new visitors' centre was opened. 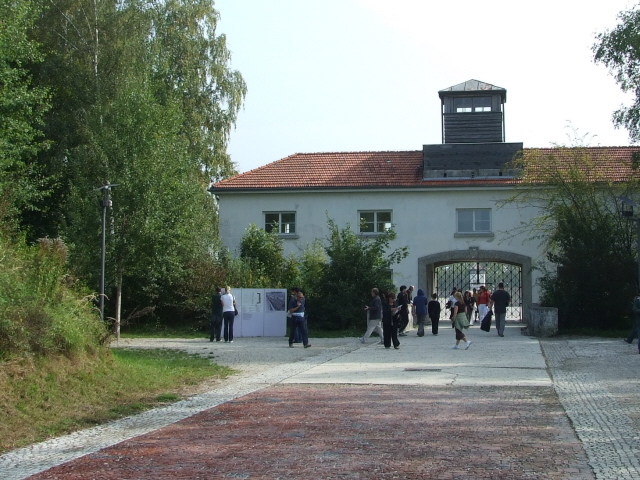 Dachau has long been one of the most visited such sites by far and its "popularity" shows no sign of abating, standing at over 800,000 visitors annually. A particularly large proportion of foreign visitors are Americans, probably because of the camp's history, having been liberated by US soldiers and having been used in US media so extensively. In general, if people in North America can name only one German concentration camp, chances are that it will be Dachau. And even in Germany (at least in the West) it is the name most likely to be familiar to lay people, such is its standing in public consciousness. 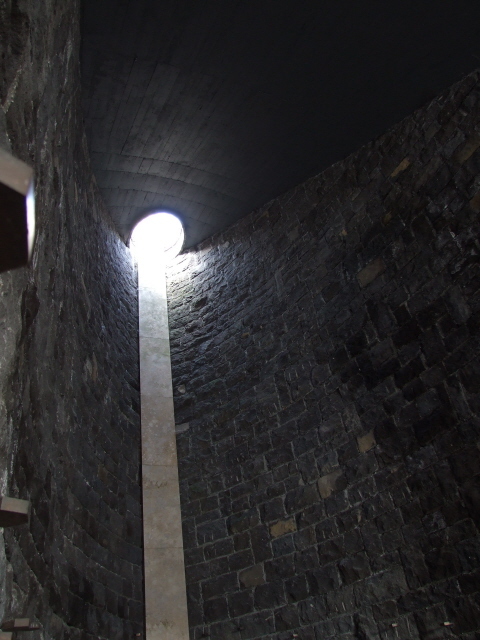 In contrast, you will find far fewer non-experts who are equally familiar with names such as Flossenbürg or Mittelbau-Dora – but Dachau is a name everybody seems to have heard of. The popularity of this particular memorial site has its downsides as it can get really crowded, esp. in high season – when I went in September 2009 at a time that coincided with the famous Munich Oktoberfest, the site was literally teeming with tourists. The local buses could hardly cope with the numbers of visitors, and guided tour groups were occasionally almost falling over each other. The bustle and the soundscape that this entailed did detract from the overall experience a bit, to be frank, even though the exhibitions and the guided tours are so good. 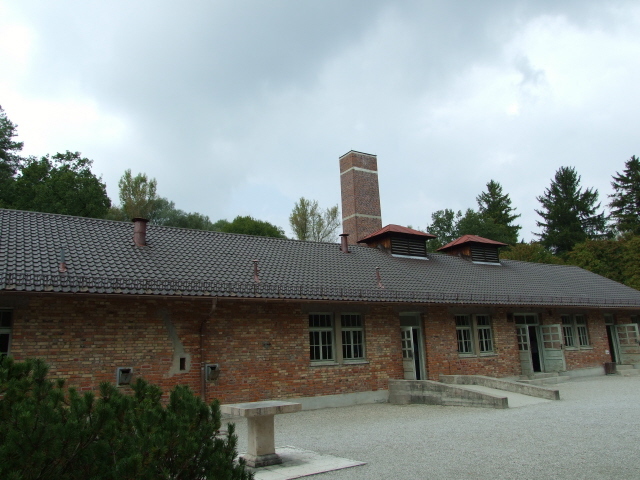 It is for this reason – the dark-tourism-meets-mass-tourism factor, as it were – that I've given Dachau a darkometer rating of only 8 and not the 9 it may otherwise have deserved. 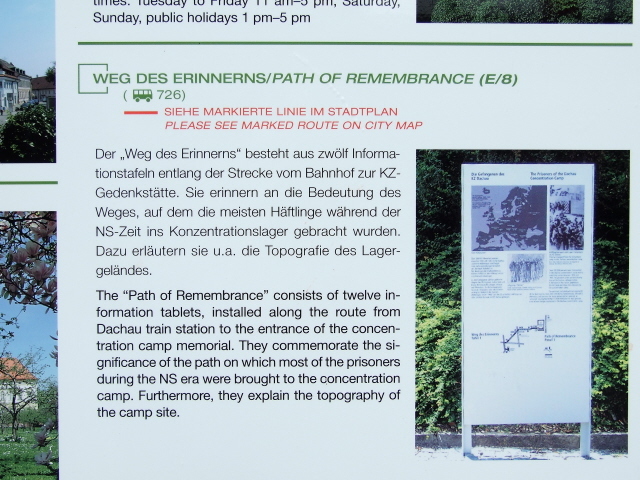 Unfortunately, one symptom of mass tourism at such sites can also be seen at Dachau … e.g. those disrespectful visitors who pose for snaps arm in arm and grinning in front of e.g. the crematoria ovens or inside the gas chamber or (most typically) in front of the infamous gate … I suppose these things just come with tourist popularity, but I would still like to do my bit in discouraging potential visitors from joining in in that sort of dubious behaviour at such a sensitive place … (cf. Sachsenhausen, Stutthof, Auschwitz, ethical issues). What there is to see: lots! The recently expanded and modernized museum exhibition alone provides extensive detailed information about all manner of aspects of the camp's history and that of Nazi Germany and the concentration camp system in general. You'll first arrive at the brand-new visitor centre, where tickets for guided tours can be purchased (it’s advisable to do this first thing) or audio-guides hired. Adjacent is a cafeteria and an extensive book shop. This is also where guided tours start. A guided tour (ca. two and a half hours) at Dachau is well worth considering. When I went I was very impressed by the British guide my group had – and even though I'm far from being a novice to the subject matter, I learned a few new and interesting things on the tour, esp. about the economic considerations underlying some of the Nazis' moves in the development of the concentration camp system. 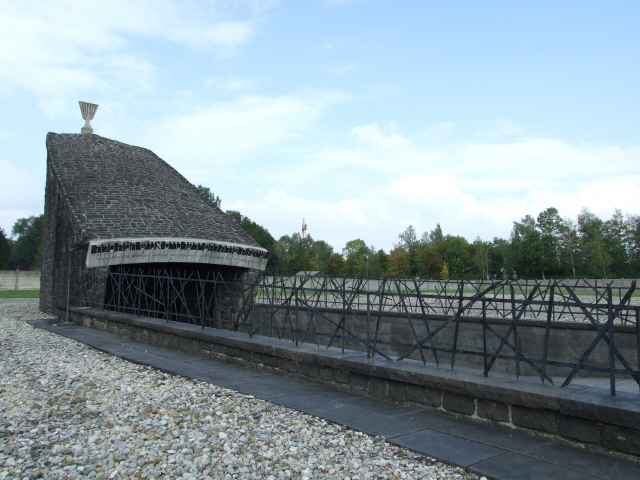 On these tours you will stop at about a dozen spots, finishing at the crematoria at the far end of the complex, but you will hardly see anything of the museum exhibition as such – so, as will be pointed out on the tour, it is well worth coming back to go through the exhibition halls on your own after the tour. From the visitor centre a path leads to the old gatehouse, which is mostly original, except for the reconstructed guard/watchtower on top. 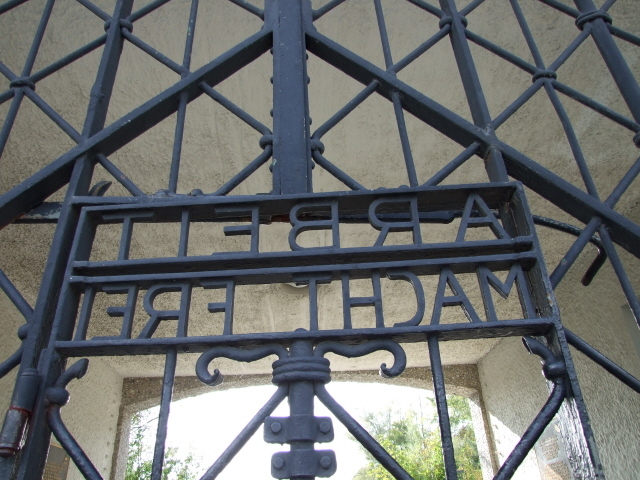 Below, the familiar "Arbeit macht frei" (roughly 'work sets you free') greets you on the wrought iron gate – together with all the tourists who queue up by it to take photos. It's typically the most popular snapshot for most tourists, for some reason. It's the same design as e.g. 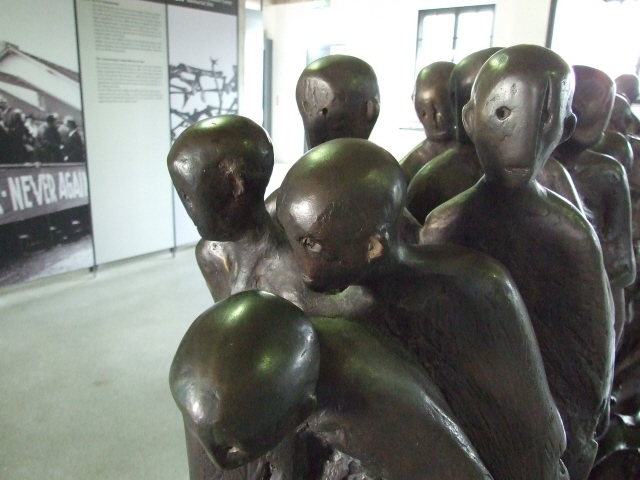 at Sachsenhausen, i.e. not the curved inscription familiar from Auschwitz. Before you get to the gate, the ruins of some small railway sidings indicate the camp's access ramp. 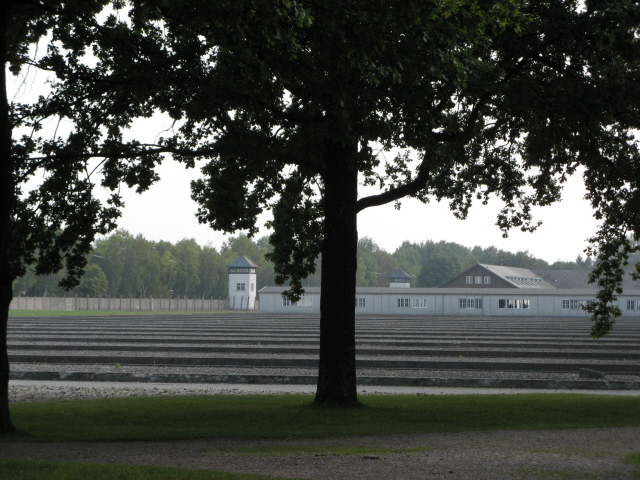 Beyond the fence are some older buildings that belonged to the camp but which are not accessible to the public today – in fact, of the extensive former camp's grounds only the prisoner camp is fully accessible, plus a couple of buildings just outside its perimeter. Inside the complex, to the right of the gate building lie the larger original buildings which house the main exhibition and the cinema. The film shown in the cinema is typically the first thing visitors take in. It lasts 22 minutes and is a sweeping introduction ranging from the beginnings of Nazism to the liberation of the camp. Some footage is rather gruesome. But the brevity of the introduction doesn't allow for much depth. It's more for those who may not yet have so much previous knowledge of the subject. If you're already familiar with the basics you can consider skipping the film – the exhibition provides most of the film's informational content anyway, though with fewer moving pictures. The museum is organized roughly chronologically and mixes general factual information with more personalized individual stories. 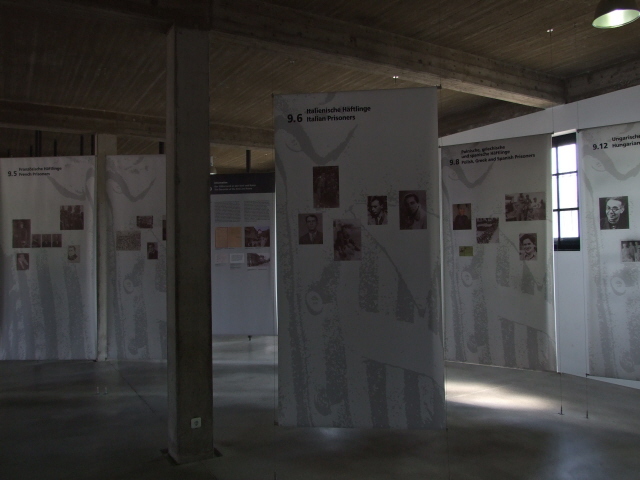 One stylistic feature of the latter is that panels hanging from the wall may only have some individuals’ pictures on the front, while the textual background is provided on the back … I found this an intriguing feature that sets the design approach at Dachau apart from other such exhibitions I've seen. The section on medical experiments is particularly illuminating, compared to other concentration camp exhibitions. The sections on "special" prominent prisoners and on the various subcamps also stood out in my view. The exhibition mainly relies on texts and photos – there are only a few artefacts. There are a couple of screens showing moving images and testimonies too, as well as a few interactive touch-screen stations. When I visited, however, quite a few of the latter were not working. 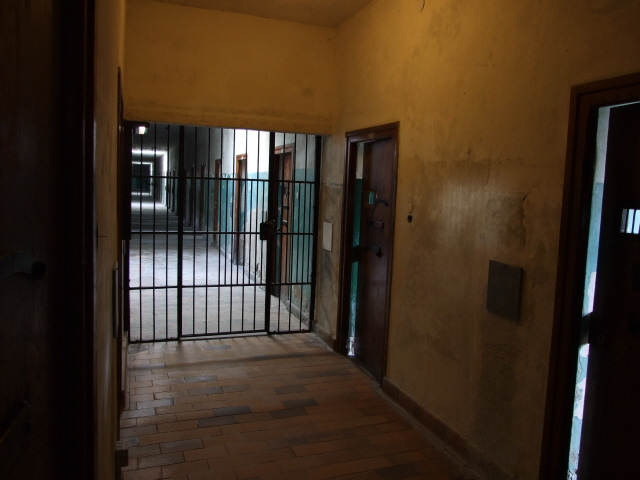 Parallel to the west wing of the main museum building is the so-called "bunker" – this was a complex of solitary confinement prison cells, an unusually large such complex for a concentration camp. Unlike the museum, the atmosphere here is notably "rougher". The corridor walls have not been repainted, and the iron bars and endless rows of cell doors slightly ajar ooze a grim, cold air. In some of the cells, slide projections on the wall show quotes from survivors describing the horrors of the "bunker". Outside these main buildings lies the roll-call square and at its opposite end two reconstructed prisoners' barracks provide an indication of what the rest of the camp stretching out beyond would have looked like. 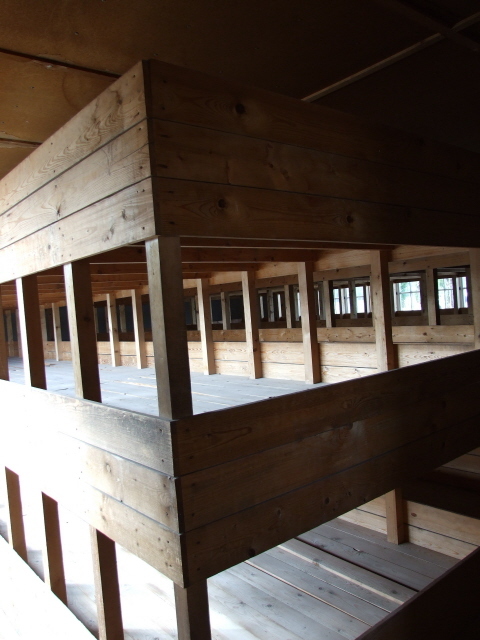 One of the barracks houses reconstructed bunk-bed sleeping quarters of the familiar style. Beyond, towards the northern end of the walled-in compound, which is surrounded by seven watchtowers, is a vast empty expanse with the foundations of the rows of former barracks merely indicated by concrete square shapes filled with gravel. These are lined up on both sides of the central avenue lined with (by now) tall poplar trees. At the far end there are a few religious monuments, including a rather impressive Jewish one which aims at recreating the path of the Jews in the death camps (cf. Belzec): you enter a descending path lined with stylized barbed wire structures to reach an underground chamber the only other "exit" of which is the mock "chimney". 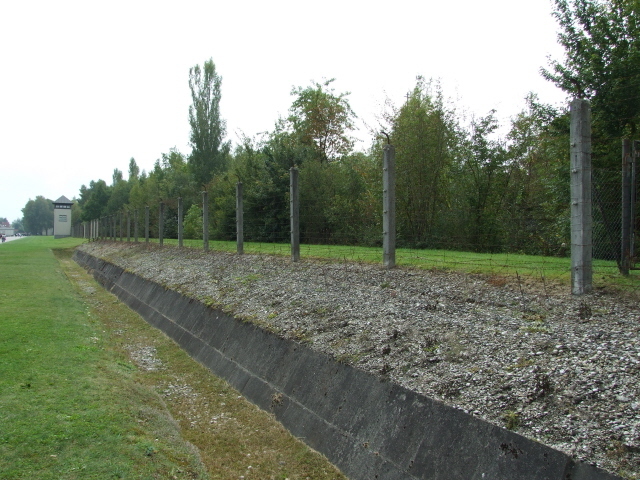 To the left (west) side of the wall is a small section of reconstructed electrified barbed wire fence which would have lined the ditches in front of the inner walls – but somehow it fails to look as authentic as the equivalent fences at, say, Majdanek or Auschwitz. A path leading through a gap in the wall to the left of the compound takes you to the two crematoria. That these were saved from demolition probably makes for the most authentic and at the same time most sinister part of the whole memorial complex. 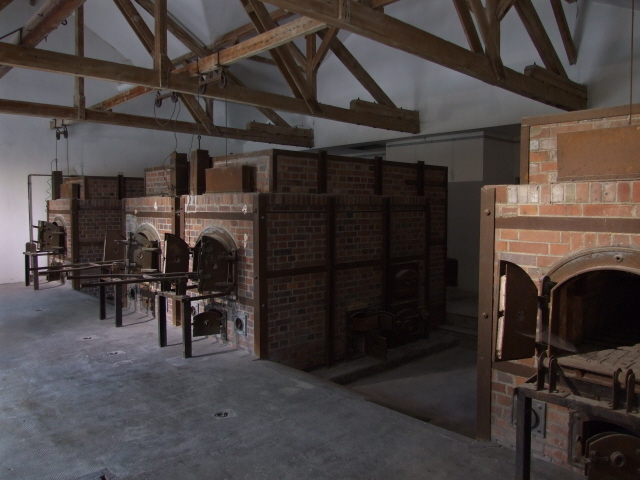 The smaller old crematorium is complemented by a larger one which has rows of four ovens, one of which includes a metal stretcher poking halfway out of the oven's hatch. Less graphic but still eerie are the disinfection chambers and the gas chambers marked "Brausebad" ('shower room') – although, as usual, it may have to be emphasized that no gas was pumped through the shower heads here (it's common a misunderstanding and Hollywood cliché, but historically inaccurate). The word "Brausebad", by the way, now has a very obsolete ring to it in German and is hardly ever used these days, 'Dusche' being the contemporary word) – except in Austria, where you can still see the old word used in public baths/swimming pools. 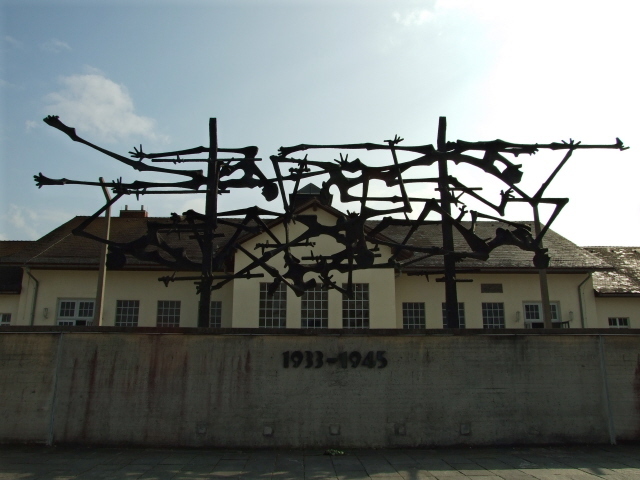 There are several monuments dotted around the memorial complex, including the particularly striking central one from 1968 outside the main museum building – it's based on the image of prisoners hanging dead in the electrified barbed wire fence. It is indeed visually impressive. All informational text panels, both in the museum and all over the outdoors parts of the memorial site, are bilingual, German and English. Audio-guides are also available in French, Italian, Spanish and Hebrew, the general overview leaflets also in a host of additional languages including Dutch, Greek, Russian, Polish, Turkish and Japanese (these cost 0.50 EUR). The museum bookshop sells more detailed brochures about the history of, and living conditions at Dachau (3 EUR), as well as a comprehensive and richly illustrated museum catalogue, which comes with a CD-ROM that contains the entire exhibition's text panels in .pdf format. The latter is, at 15 EUR, fairly reasonably priced. The DVD with the 22-minute documentary film from the museum cinema, however, is overpriced at 16 EUR. The bookshop by the visitor centre has all these too, plus a much wider range of books and other materials not only about Dachau but related topics too, from other sites/places, Nazi, WWII and Holocaust history as well as Jewish cultural materials. Location: at No. 75 Alte Römerstraße, to the east of the small town of Dachau, a good ten miles / 15 km north of Munich in the south of Germany. Access and costs: a bit out but still relatively easy to get to, admission free, guided tours cheap. 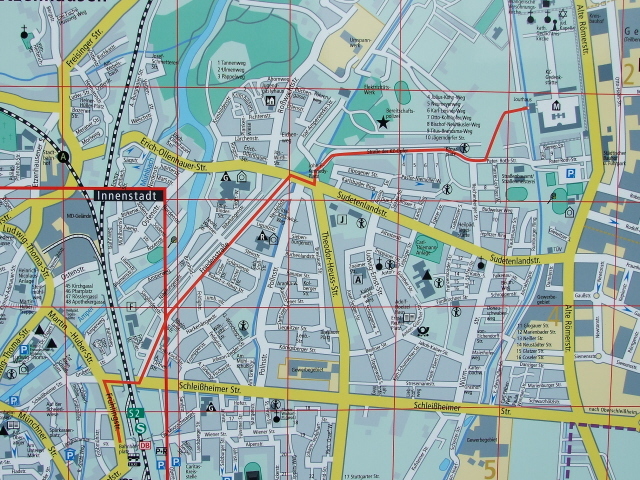 Details: To get to the Dachau memorial site, you can simply get a train from Munich's central station (Hauptbahnhof, abbreviated "Hbf") to Dachau and then either walk or get a local bus. For trains you have two options: the fastest is taking a regional express train (Regionalexpress, abbreviated RE plus a number) that go e.g. 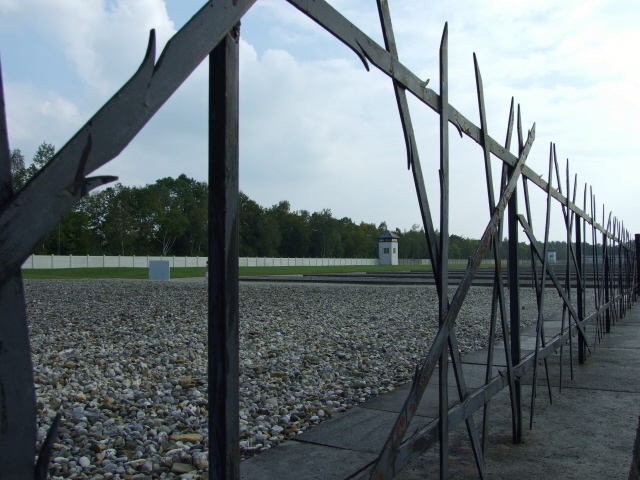 to Nuremberg; these tend to stop at Dachau and only take some 10 minutes to cover the distance. Munich city transport tickets covering the outer zones are valid on these trains too. (If you're travelling more within Munich, the "XXL" day tickets are especially good value). You can also take the regular regional metro trains of the S-Bahn: line S2 towards Dachau/Petershausen. These are more frequent but take longer (because they stop at various stations en route). In either case, make sure you stamp your ticket to validate it in one of the little blue boxes provided on the station concourse (or at other stations' entrances to the platforms). At Dachau station, take the left-hand side exit which takes you to a small square where you'll already see signs and information plaques in German and English. If you decide to walk the (ca. 30-45 minutes, roughly 2 miles / 3km ) well signposted "path of remembrance" thematic pedestrian route to the memorial site ("KZ-Gedenkstätte"), you can take in the further information panels dotted along the way, as well as the death march memorial on the corner of Sudetenlandstraße and Theodor-Heuss-Straße (at John-F.-Kennedy-Platz). Outside Dachau station, to the left of the information panels, are a series of bus stops, one of which is clearly marked as the one for the concentration camp memorial – it's impossible to miss. Two lines go there, the 724 and the 726, which take between 7 and 10 minutes for the ride. If you have a Munich public transport day ticket including the outer zones (such as the "XXL" ticket), then the bus fare is included. Otherwise you can pay the driver, the single fare is 1.20 EUR. Be prepared to wait a while for a bus, they are not all that frequent (typically every 20 minutes during the day). To check current connections and times you can go to the Munich transport MVV's website at mvv-muenchen.de (which has detailed search functions in five languages). If you prefer to drive, take the B471 road that connects the A8 and A9 motorways to the east and west and runs past Dachau; exit at Dachau-Ost and follow the signs for the KZ Gedenkstätte. Note that a parking fee of currently 3 EUR applies for cars. Opening times: Tuesdays to Sundays, from 9 a.m. to 5 p.m. Admission free (but parking costs 3 EUR) – audio-guide rental is 3.50 EUR (available in a range of twelve languages). Tours conducted by a live guide, and which last about two and a half hours, are no longer free but at 3 EUR per head they are still very reasonably priced indeed. These depart from the visitor centre at 11 a.m. and 1 p.m., daily. You have to buy your ticket in advance at the counter. Note that the previously available 30-minute short introduction tours have been discontinued as of 4 October 2009. The cinema showing the 22-minute intro film is free. It's shown in English at 10 a.m., 11:30 a.m., 12:30 p.m., 2 p.m. and 3:30 p.m. (and at aother times in German, Italian or French). Note that at peak times the 250-seat cinema can fill up quite quickly. Note that there are also various offers of guided excursion tours from Munich – you'll find the relevant leaflets in practically every hotel or tourist information spot across town. These tours, starting from the centre of Munich, typically last about 5 hours in total and cost around 20 EUR per person (including train/bus tickets). The advantage of such tours is that you don't have to worry about any navigation (though it isn't really that difficult at all), plus you get explanatory narration not just at the site itself but also en route. At the site itself you'll get over three hours – but as you'll need to leave promptly for the return journey back to Munich, you may not be able to get the most out of the exhibition. You'll have to decide for yourself whether on balance the advantages of such a fully guided 5-hour tour are worth the extra costs, roughly double of what you'd pay getting there individually and going on the 2 ½ hour guided tour provided by the memorial site itself. Time required: the "official" recommendation by the memorial office is that you should allocate about two and a half hours – but that's just for a self-guided individual visit (with or without an audio-guide). If you go on one of the tours (recommended! ), double that, as the tours also take two and a half hours, but do NOT replace going through the museum's exhibitions on your own. Obviously, how long you'll actually spend in the museum parts of the site will depend on how much knowledge you already have about the subject. If you're already sufficiently familiar with the themes of the rise of fascism in Germany and the concentration camp system in general, then you may be able to skip some sections of the exhibitions. If you want to read it all and use all the other media, then plan your visit as a whole day excursion. Combinations with other dark destinations: Not far from the site of the Dachau concentration camp itself are a few further sites related to it, in particular the former SS shooting range of Hebertshausen north of the camp, where in 1941 over 4000 Soviet POWs were executed – bullet holes can still be seen. The site is ca. 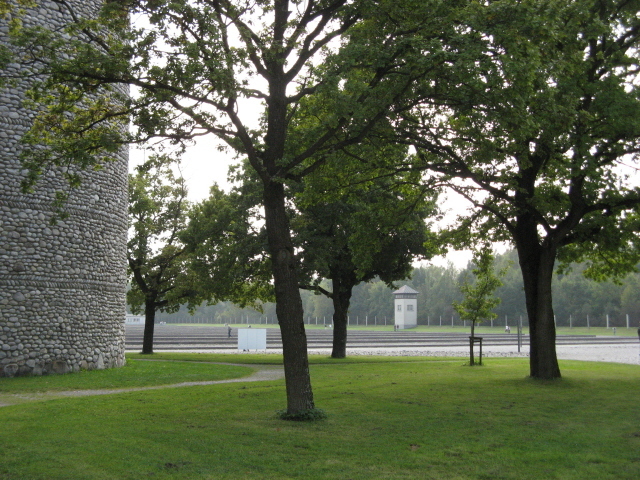 2½ to 3 miles (4-5 km) north of the camp memorial site, first along the camp's eastern wall on Alte Römerstraße, then right onto Freisinger Straße and first left. Another mile or so south-west of that site are the mass graves at Leitenberg hill cemetery. These date from the very last period of the camp's operation when the crematoria had run out of coal. There there are also more memorial plaques and a Remembrance Hall. First head westwards along Freisinger Straße, cross the rail tracks and immediately take a sharp right turn into Leitenweg and the car park a couple hundred yards on. If you walk from Dachau station to the memorial (or vice versa), you'll pass more plaques and monuments along the way (see access). Otherwise, as most visitors will get to Dachau from Munich anyway, that city's worth a bit more exploring too. For sites further afield see Germany in general. Combinations with non-dark destinations: Dachau itself may have a pretty old town centre and castle, but in general isn't a particularly touristy place, so most typical tourist activities in the area will be Munich based, which has an extensive tourism infrastructure, not just for the city itself, but also for the surroundings, including, not least, the pastoral foothills of the Alps and the Alps' mountains themselves.